Years: Late 1980's - ? 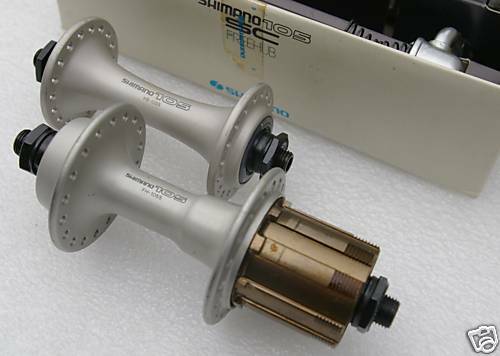 Details: in 1990 Shimano 105 was renamed to 105SC group. When the group received a makeover moving away from the polished aluminum finish to a painted silver finish. It would retain 7 Speed as it was introduced a year before with the 1051 group. Dual pivot brakes were also introduced at the time. Before its demise in 1998 105SC would receive 8 Speed cassettes and STI shifters.